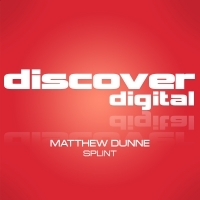 Matthew Dunne continues his great run of releases with his latest outing for the Discover camp. Once again Matthew draws on a wealth of influences to create his own unique style which blends dirty grooves and melodic hooks with precision and class. The remix package is no slouch either with both Jonathan Carvajal and Paul Denton getting in on the action. 'Splint' is available now from Beatport and iTunes.